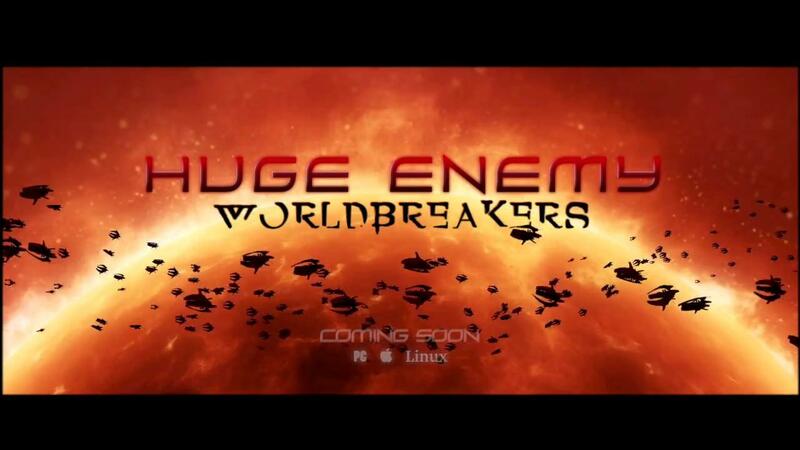 Huge Enemy - Worldbreakers is a rather impressive side-scrolling shoot 'em up that's officially released with Linux support, it also has a demo to try out. After trying the demo on Steam I was pretty impressed by how completely insane the game is. Your weapons are crazy, the enemies number in their thousands constantly and the way it has things going in both the foreground and background makes it quite a sight. Enemies will fire at you from far away, you can dodge into the background to avoid fire and so on. The controls on a gamepad are a little, uh—awkward. It feels very much like they simply tacked on gamepad aiming without really thinking it through, so it's much better with a mouse. Even with a mouse the sensitivity is too high with no option to change it in game, the only slider to adjust it didn't really help at all. Still, this is only a demo the full game might have a few updates it doesn't. If they update the gamepad aiming and have proper sensitivity options for the mouse it would be a solid recommendation for shooter fans. Gripes about controls aside, the game does seem really quite good. Find it on Steam with 25% off until the 14th of September. At first sight, a shmup with mouse aiming doesn't seem to be my cup of tea, but there's a demo, so why not try it out. 7 Gigs are rather unexpected for such a game, though. I bet it's a Unity game. Edit: Yep, it's a Unity game. The mouse input is infuriating. The game is going below 60fps even when only a few enemies are on the screen. With many bullets and explosions it goes even below 30fps. The result is that the frame pacing is dancing all over the place. That is pretty much the killer of any shmup, especially a bullet hell shmup. I don't have the newest graphic card, but a GTX 760 should be able to run this with absolute ease. Sturmwind looks better than this game and has no problems running in perfect 60fps on the Dreamcast.